Although sciatica is a relatively common form of low-back pain and leg pain, the true meaning of the term is often misunderstood. Sciatica is actually a set of symptoms, not a diagnosis for what is irritating the sciatic nerve and causing the pain. 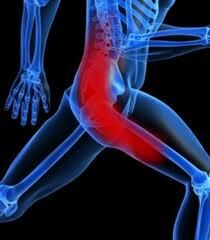 Sciatica describes persistent pain felt along the sciatic nerve pathway. The sciatic nerve is the longest and widest nerve in the body, which runs from the lower back, down through the buttock, and into the lower leg. It controls the muscles of the lower legs and provides sensation to the thighs, legs, and the soles of the feet. The most common symptom associated with sciatica is pain that radiates along the path of the sciatic nerve, from the lower back and down one leg. Some may experience a mild tingling, a dull ache, or even a burning sensation, typically on one side of the body. Some patients also report pins-and-needles sensation, numbness or muscle weakness in the affected leg or foot, or even pain that can worsen after pro-longed sitting, sneezing, coughing, bending, or other sudden movements. In order to accurately treat sciatica, it’s important to diagnose the exact source of the sciatic nerve pain. At Cherry Creek Spine and Sport Clinic we perform several exams to determine the many sources of the sciatic nerve irritation. This includes exams for disc injuries, lumbar bone and joint degeneration, low back and pelvic muscle spasms, and entrapment tests for the sciatic nerve as it passes through different muscles. At times, a X-ray or MRI may be performed to ensure accuracy of diagnosis. If your sciatica is not due to disc involvement, it is most likely due to a condition called piriformis entrapment syndrome. Piriformis syndrome can be described as a peripheral nerve entrapment of the sciatic nerve by the piriformis muscle. This is a very common, yet under diagnosed and mistreated condition. Using Active Release Technique (A.R.T. ), the doctor can release the contracted tissue causing a ‘pinching’ to the sciatic nerve. This pinching can cause compression, irritation, and inflammation to the sciatic nerve, producing associated sciatica symptoms. Cherry Creek Spine and Sport Clinic offers a unique approach to treating sciatica. Quick and focused treatments begin with an accurate diagnosis. With an accurate diagnosis, we can affectively relieve the sciatic nerve pressure and irritation. Different treatment options will be available depending on the source of the sciatic nerve irritation. These options will be discussed to make an informed decision for the appropriate treatment method.